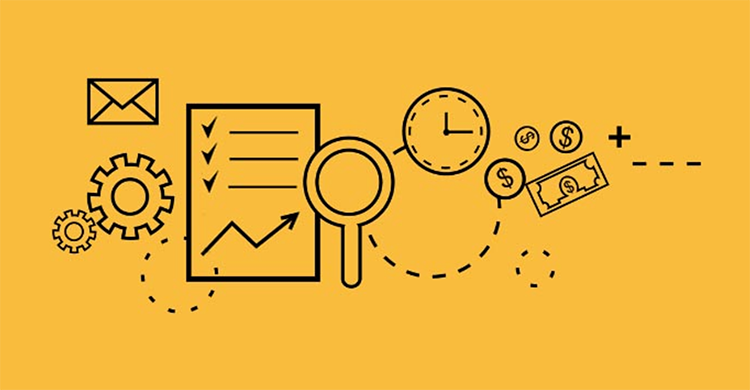 If you’re concerned with your bottom line and increasing your ROI, the first step you should take is to increase efficiencies and boost the productivity of your recruiters. One way to do so is by looking at individual duties and tasks; what is taking up your recruiters’ time? You’ll find that a large part of a recruiter’s time is dedicated to tasks that could easily be automated. Of course, there’s a cost involved in automation tools, but weigh that against the cost of another hire. Weigh it against the increased number of candidates that could be loaded into your database more quickly and precisely than is humanly possible. One of the most common and important recruiting metric for KPIs is “time to fill.” According to Workable’s article on recruitment KPIs, time to fill is the number of days between the publication of a job and getting an offer accepted. This is a valuable and a trackable metric, and one that DaXtra Search can affect by shorting sourcing time—and therefore time to fill. DaXtra Search’s powerful and intelligent resourcing tools can help search and match candidates to vacancies quickly and efficiently. DaXtra Search works seamlessly in the background of your CRM to enhance capabilities and make your CRM more robust. Some users claim that it has saved between 30-40% of sourcing time. Single Action Searches — Searches over multiple online sources, (approved job boards, social networking sites, emails) as well as your local database, all in a single action. No need to search individual job boards, LinkedIn, Facebook and other social networks, as well as your CRM or ATS for the data you need. It unifies all sourcing efforts into a single workflow, eliminating the time and effort of resourcing against each source independently. Watchdog Function — Automated searches, or what we call “Watchdogs,” are searches that run nightly and deliver a list of candidates that you may have missed since the last time you ran that search to your inbox each morning. These search agents work while you’re sleeping to keep funneling the latest results directly to your inbox. Predictive Keywords — This Semantic Term Suggestion feature will automatically suggest relevant search query terms based upon the skillset or job title being typed in. This comes in handy when you are searching for a position with a frequently changing skill set, as these skill sets are constantly updated and kept current to industry standards. Compare Resumes — A compare feature used to look at up to five profiles side by side, allowing for comparing and contrasting. Gives you a clearer picture of the candidate data and which candidate stands out from others. Resume Ranking — Ranks resumes automatically, on contextual relevancy; how many times the search terms appear and where they appear. Data can be drilled down on secondary terms of interest and relevancy, allowing quick and easy sifting of results. Bulk Loading — Bulk loads data from your searches in one action. On-demand capabilities parse, deduplicate and load selected online profiles directly to your CRM database. Very much like it sounds, bulk loading is a process whereby you can load large amounts of data into your database in a relatively short period of time. More Like This — The More Like This feature takes a local database candidate and builds a back-end query based on the original candidate, “the ideal candidate,” and pulls back all similar candidates from your local database. This allows for more qualified candidates from which to choose. Semantic Search Technology — Eliminates recruiters’ need to learn the different alias’ or iterations of a word. DaXtra does the heavy lifting for you by bringing back candidates relevant to your original search string, regardless of if they directly or indirectly put the job title or skillset in their original search string. Save Search — Why reinvent the wheel each time? By saving your search you can come back to a previously run search and pick up right where you left off without re-entering search criteria. If you’re not thinking proactively, then you’re falling behind. Take your CRM capability to the next level and bring additional value to your recruiters’ day by integrating DaXtra’s powerful semantic search technology. 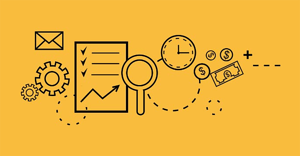 DaXtra Search frees up your recruiters’ time to focus on revenue-generating activities, reducing the amount of time required to deliver the most relevant candidates to your clients. Find the most relevant candidates quickly using natural language and semantic search technology—aggregating across multiple in-house and online talent communities without ever leaving your database. 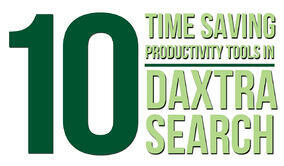 Save time, increase efficiencies and boost productivity—with the technology behind DaXtra Search.